Henry Aldridge and Son the leading auctioneers in the world of Titanic, White Star Line and Ocean Liner Memorabilia. The sites holds numerous images of rare and extremely valuable items from the Titanic together with useful references to past auctions of Titanic and White Star Items. The sale is on April 8th in Southampton at the British Titanic Society Convention. 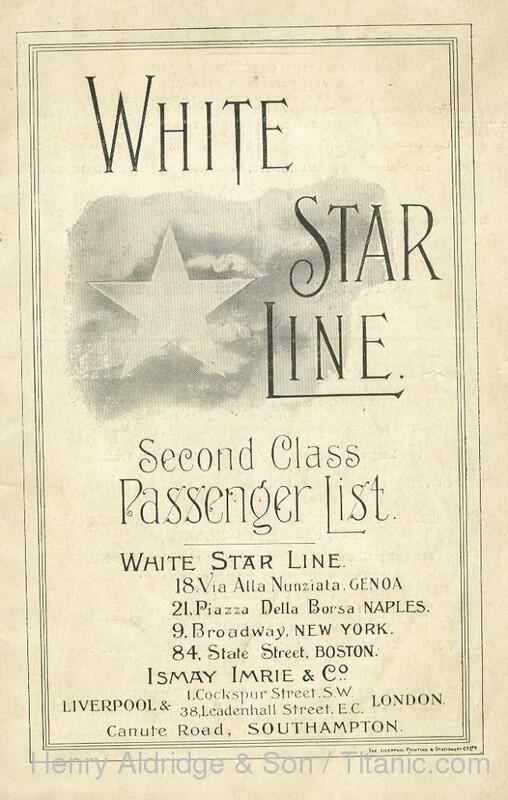 There are around 300 items of Titanic and White Star Line Memorabilia to be sold with items for all collectors ranging from Ãƒâ€šÃ‚Â£10 upto Ãƒâ€šÃ‚Â£20000. I will get together a full press release for you when we have finalised the star items for the sale next month.